That's a great quilt for a male Nanette -- I'm betting Mason will love it! And whoa! on the summer temps. You've got a month to get them under control. Do your best LOL! Mason will love it!! Perhaps a simple quilting will better highlight the fabrics. Love your Barn Quilt! So beautiful hanging up there on the wall. Nice job. What a great boy quilt. He is going to love it. And that barn quilt is just perfect! 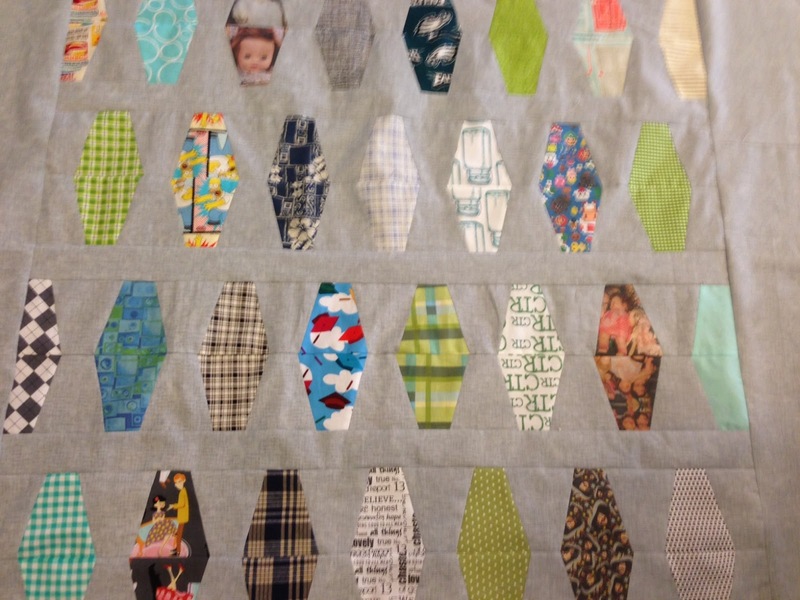 You DO make the cutest quilts. Good work, Nanette, as always. You're the best. Love the barns and the flimsy! Stay cool! The barns are just darling! I'm sure you must smile every time you pass that quilt. I really like your Man Quilt! How could it not be loved? No way!! Your barn quilt turned out so cute. Mason is going to love his quilt. You did a great job. 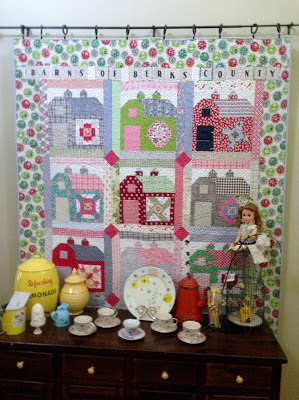 I love the barn quilt, looks lovely hanging there. Mason will love his quilt, I'm sure. I'm sure Mason will love his quilt, especially because it's from you :) Your family is so lucky to have you for their mom. I really like your barn quilt, my quilty barns are just taped to my wall.....Your modern quilt for Mason is great, it looks masculine too. Thanks for motivating me!! Love the barns! So cute. No surprise I have that lemonade thing too. Love the modern look of Mason's quilt. congrats to him! I love the barns...and I love Mason's quilt too. 99 would be a dream come true. We have a high heat warning this weekend...we're expecting 120 on Saturday...ugh!!! 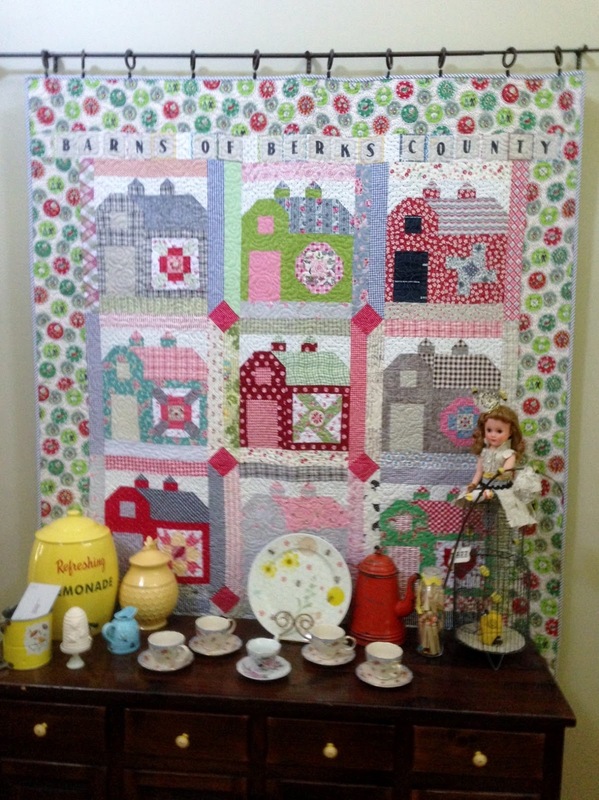 I LOVE seeing your barn quilt hanging!...it's so awesome and looks perfect there. 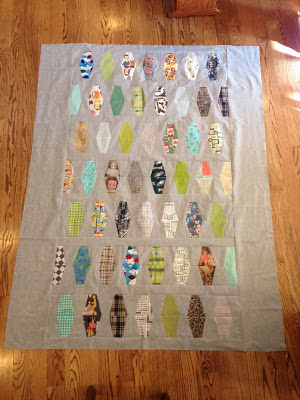 I really like how Mason's quilt turned out too and I like the fabrics and colors...they seem perfect for him. Good job on your barn finish. I love it! So cute hanging up there above your little table. I'm loving the rain today...but I know HOT days are coming. The quilts turned out great. I am sure Mason will love it! Great job on that barn quilt! Love your barn quilt!! I've got to get going on mine!! Your Barn quilt is quite charming and welcoming! It is beautiful in the entryway! 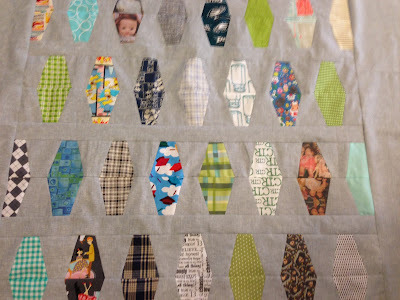 I adore your tumbler quilt. You did a fabulous job with the combinations. Very modern and fun! Your barn quilt is so sweet! I really love your spin on it and the color palate you used... it's so you! Cute as can be!